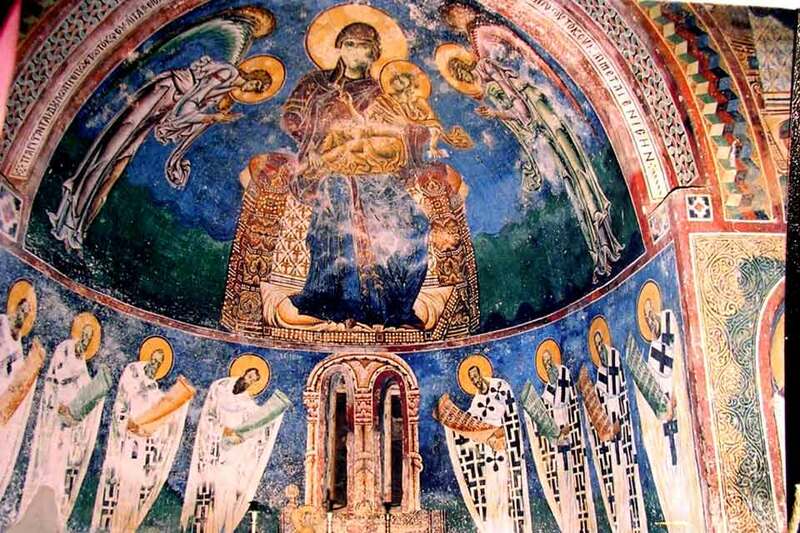 Exhibit on frescoes in Kurbinovo church "St.Gjorgji"
Exhibit "Restoration of Painting in Church 'St.Gjorgji' in Kurbinovo - Masterpiece of Byzantine Art in Macedonia" will open in the Museum of the City of Skopje on Wednesday. The exhibit presents the results of project "Macedonian Frescoes - Masko 360", implemented by association "Makedonida", in cooperation with the Faculty of Christian Archaeology and Byzantine Art History within the Goettingen University, and supported by the German Max Planck Society and Macedonia's Office for Cultural Heritage Protection. The photos were taken in the spring of 2016, when the conservation works of the 12.-century Kurbinovo-based church were launched. After Skopje, the exhibit will travel to Munich for a presentation at the Ludwig Maximilian University on May 7.